(Standing L-R) Ms. Julifer Majeda, PCD Assistant; Ms. Arlene Cruz, TDD Officer; Mr. Bryan Noel Lazaro, Executive Secretary; Ms. Adrienne Abril, PCD Officer; Ms. Sangita Lamichhane, Professional Intern (Nepal); Ms. Felice Jeanine Marquez, PCD Assistant. 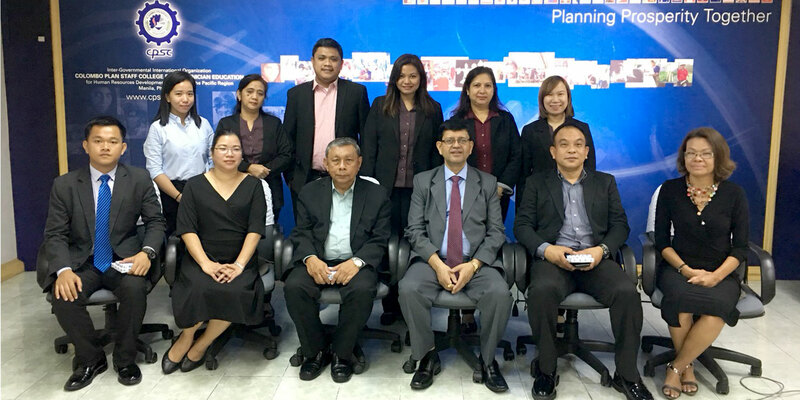 Meetings between officials of the Colombo Plan Staff College (CPSC)/Asia Pacific Accreditation and Certification Commission (APACC) and the Office of Vocational Education Commission (OVEC), Thailand were held on May 30 – 31, 2018 at CPSC Manila, Philippines. The general objectives of these meetings are to discuss and strengthen APACC activities in Thailand and to explore collaboration in future programs and activities. Representatives from OVEC include Dr. Pongsatorn Pimpanit, Director, OVEC Quality Assurance Section; Dr. Paiboon Saiyawongs, APACC Special Officer Thailand/APACC Advisor to OVEC; Ms. Khansawat Hinthaow, APACC Coordinator, Songkhla Vocational College and Mr. Thanapon Khanthawichai, Staff, OVEC Quality Assurance Section. During his welcoming remarks, CPSC Director General and APACC President Dr. Ramhari Lamichhane commended OVEC for the great contribution by spearheading the APACC accreditation activities in Thailand and for supporting CPSC’s programs. In addition to this, Dr. Lamichhane also affirmed that APACC is ready to plan and send competent accreditors in case additional Colleges under OVEC’s purview decided to apply for APACC accreditation. 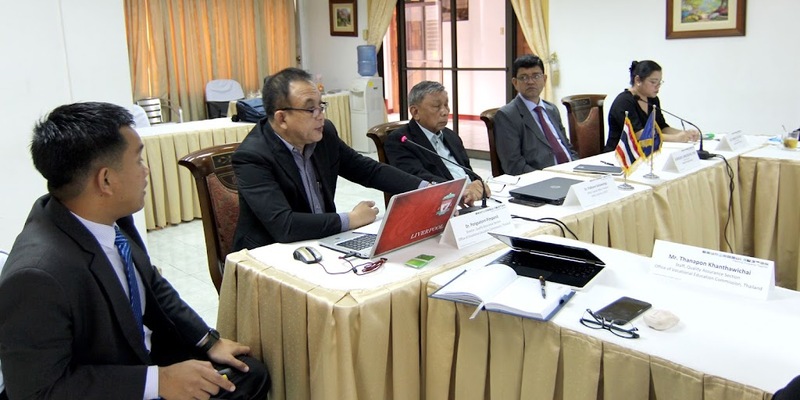 Dr. Pongsatorn Pimpanit discussed about the massive clamor of TVET institutions in Thailand to pursue and undergo the APACC accreditation process. Currently, there are four (4) APACC accredited Colleges in Thailand: Siam Business Administration College (Bangkok), Songkla Vocational College, Siam Business Administration Nonthaburi Technological College and Khonkaen Vocational College. Awarding for the said Colleges will be held on a suitable schedule. Furthermore, he mentioned that OVEC proposes collaborative activities with CPSC/APACC including a Regional Program and Symposium on “Green TVET for Sustainable Development” and meeting of the Association of APACC Accreditees (AAA). OVEC also has the plans of setting up a CPSC Asia Pacific Technical and Vocational Education Center (CAPTVEC) or a CPSC satellite center in Thailand. Details of the above will be firmed up through succeeding meetings and communications. Other agenda items include the guidelines in order to maintain APACC accreditation and possible revision of the APACC Manual.